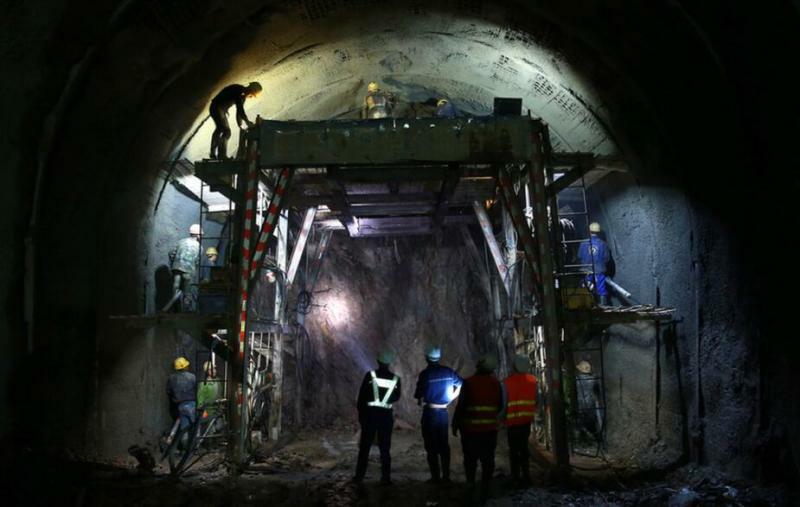 Just below the core of the world cultural heritage site at the Badaling Great Wall section in Beijing, Chinese workers are building the world’s deepest and Asia’s largest underground high-speed railway station. The tunnel section is 12.01 kilometers long, which is the longest line of the 174 kilometers Beijing-Zhangjiakou high-speed railway line. Besides, the tunnel is only 4 meters from the shallowest point of the ground surface, and the deepest point is 432 meters. The station under construction will have a 36,000 square meters floor area, and the railway tracks will be 102 meters underground. “Even though the passengers will enter and exit the station about 100 meters underground, it will still be very convenient and very safe. Because we adopt a lot of innovative design to build the station, such as using the laminated structure to balance the flow of passengers enter and exit of the station, using the inclined elevators in the station for the first time, etc. An escalator would raise passengers 62 meters at vertical height. Moreover, to ensure the safety of passengers, we will change the incline shafts (which are used to build the station) into permanent rescue channels. ” said Dai Longzhen, a senior manager of the construction company China Railway No. 5 Engineering Group Co Ltd. 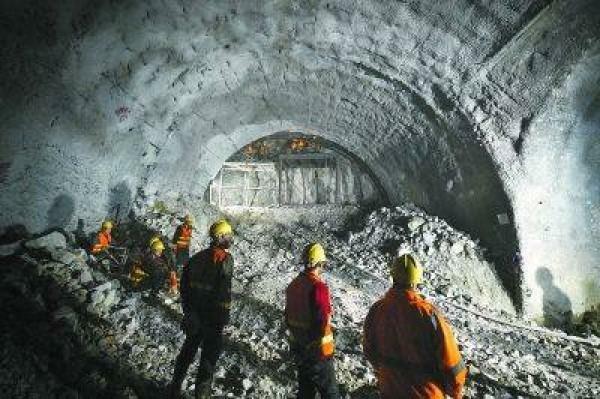 The underground burrowing work is the most complicated part, because the station has to through 2 geological fault zone, which means the Chinese workers have to be very careful, or it will cause collapses. Besides, the terrain of this region fluctuated greatly. 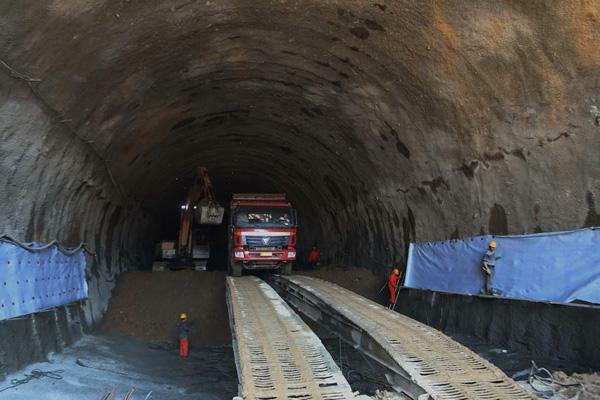 On one hand, it is unable to accommodate large diameter shield tunneling machine, on the other hand, the incline shafts must follow the direction of the mountain slope and take big turns to enter tunnel construction surface. So, Chinese engineers develop new blasting technology to explore the tunnel carefully, and every blasting is equivalent to stamp one’s foot on the Great Wall. 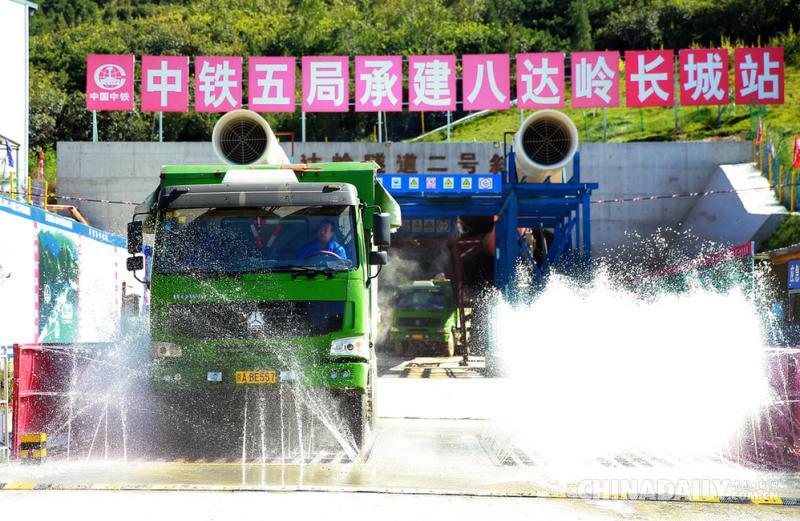 Meanwhile, the requirement of protecting the environment and cultural relics along the line is very strict. 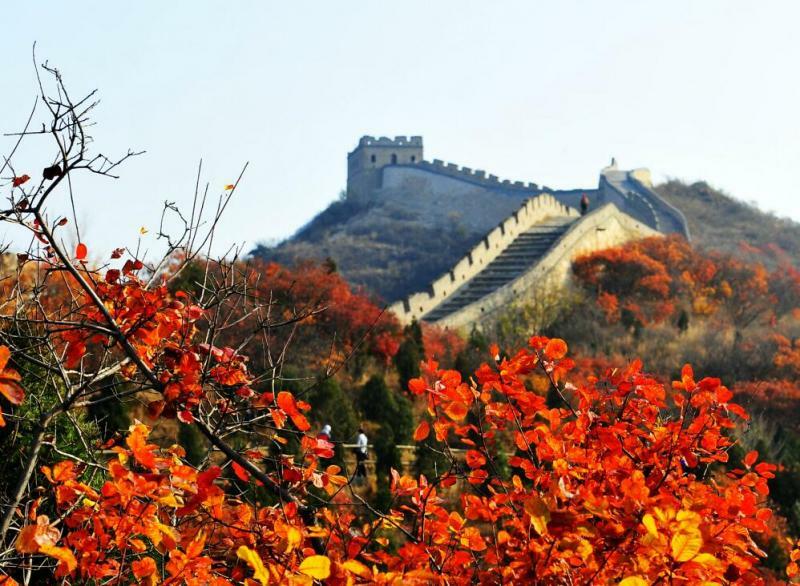 In order to reduce the impacts on the inside of hills and the Great Wall, the workers use the electronic detonators to control the vibrations in batches of small explosions. 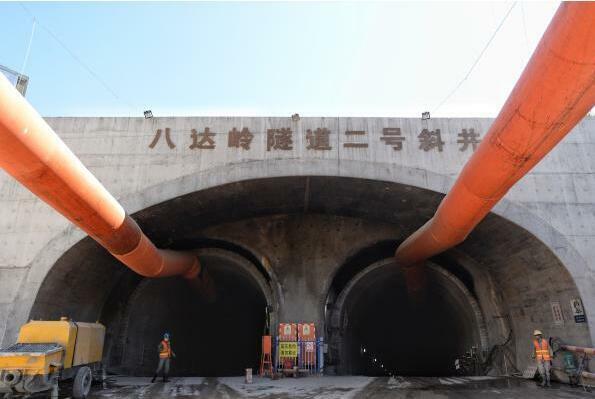 At the Qinglongqiao station of old Beijing-Zhangjiakou railway line, the workers use expansive agents to dig the tunnel, because it is only 4 meters beneath the ground surface. Until now, Chinese workers have carried out more than 4,500 explosions. Another problem in the construction is the underground water. In normal time, Chinese workers have to pump at least 19,000 cubic meters of water every day, which equals about 10 swimming pools. Sometimes, the maximum daily inflow is up to 56, 000 cubic meters. This Beijing-Zhangjiakou high-speed railway is expected to get through by the end of 2019. Until then, the northwest Beijing’s traffic environment can be greatly improved, allowing passengers to travel between the 2 cities in one hour. For example, it will only take 20 minutes from Beijing north station to Yanqing and 50 minutes to Zhangjiakou. Furthermore, it is also an important project for the 2022 Winter Olympic Games. Or we can tailor-made a Beijing tour just for you. Please contact us via inquiry@easytourchina.com. We are looking forward you to come to Beijing for travel.